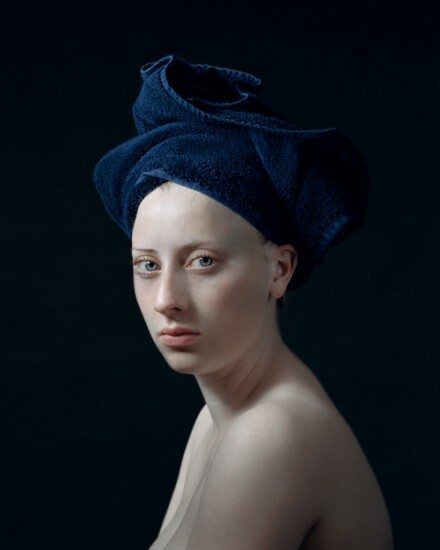 In 1995 Dutchman Hendrik Kerstens dedicated himself to a career as a photographer and since then he’s been guided and inspired by a muse most close to home: his daughter Paula. He started snapping stages in her development (first set of braces, a blistering sunburn) to immortalize those incidental incidents of an upbringing that can otherwise whip past unpreserved. He called the series the Paula Pictures. The Paula Pictures play close to Jan Vermeer, the well-known Dutch 17th century master. 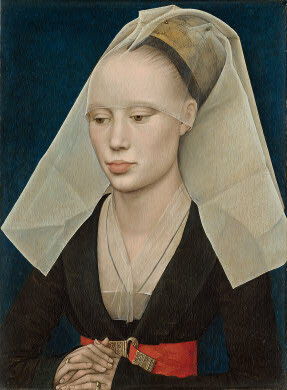 But for me there’s a comparison at the NGA that comes just as close: consider this Portrait of a Lady by the Netherlandish artist Rogier van der Weyden (1400 – 1464). 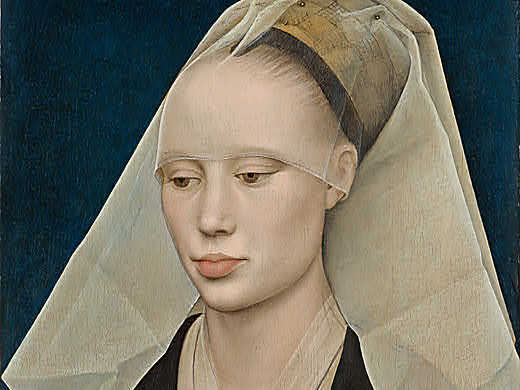 It’s from 1460 – a lot earlier than the period Kerstens looks to – but the stripped, austere aesthetic, the expression on her face and that Dutch light enlivening the picture all suggest strong similarities. 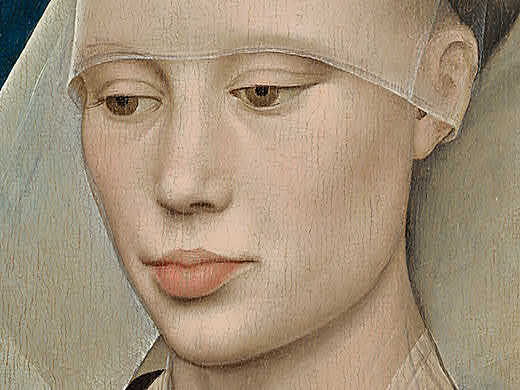 As with many early artists, very little is known about van der Weyden’s life. He spent most of his career in Brussels (where he was the leading painter of the day) but nothing is known of his personality. His paintings are attributed to him on stylistic grounds (there are no signed works). This portrait is an excellent example of the refined, almost abstract character that the artist’s later portraits possess. She has the high-plucked hairline and super tweaked brows that were fashionable at the time. Her flesh is exquisitely lit and her lips well-shaded plump and peach. Her costume, while eye-catching, enhances facial features, rather than challenging them. The dress practically melts from view, and that white headdress with its just-unfolded creases ushers attention onto her face. Her bright red belt with ornate buckle pop but do so to pull our eyes onto her hands. 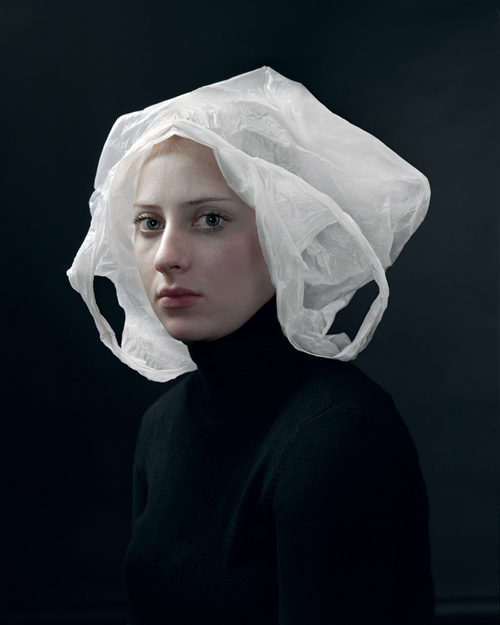 Kerstens also exploits costume in his photos, but rather than imitate exactly an image like this, he takes our tendency to associate visual cues with a certain era and uses banal objects (such as a plastic bag, or a bath towel) to add interest and a level of play. Ultimately, on a walkabout in the NGA, it’s van der Weyden’s ability to capture his sitter’s character that’ll make you stop and stare. That sense of quiet concentration coming from her downcast eyes and clasped hands is absorbing. He adds to our impression of her inner life the controlled composition and the cared-for costume. 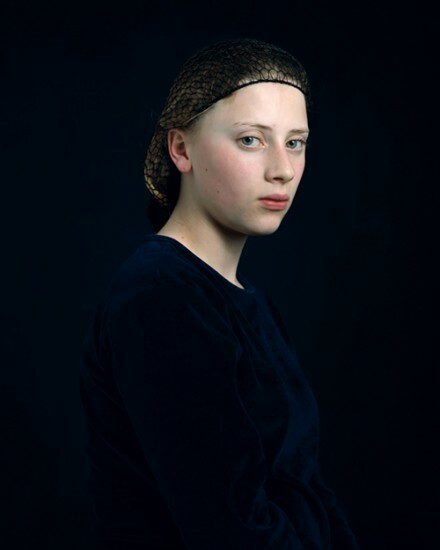 It’s austere, but also incredibly expressive and empathetic, which are the exact words I’d use to describe Kerstens’s photographs of his daughter. Which makes me wonder: can it be coincidence that van der Weyden had to wait until the 20th century to regain his 15th-century reputation?